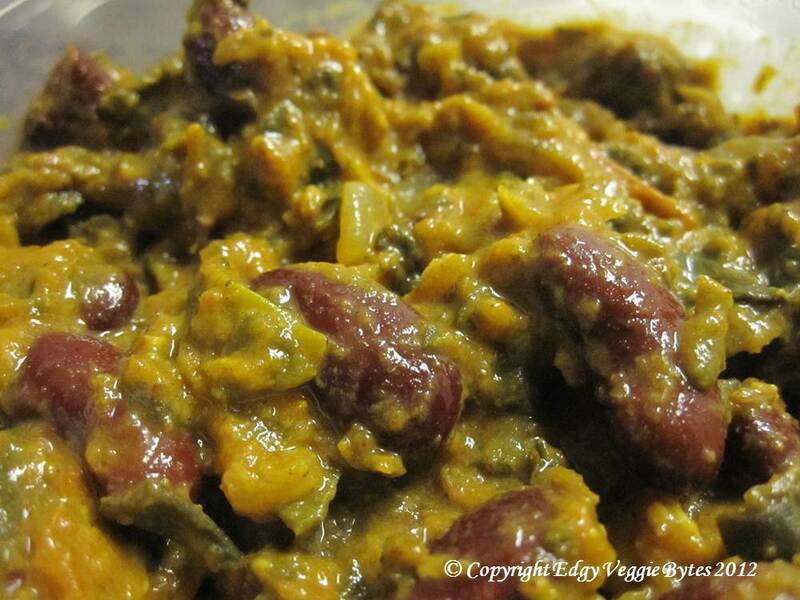 Rajma (red kidney bean curry) is one of those dishes that I love, but always forget about. It’s perfect for cold weather because it has so many warm spices and is so satisfying. I like making it in big batches because I think the flavors really set in after the first day and it makes great leftovers. You can eat it plain (like a chili), with breads (like roti, naan, etc), or with rice (my favorite). I also modified the traditional recipe to include spinach, because I’m convinced spinach makes everything taste better! 1. In a large pot, heat the oil on med-high. When hot, add the cumin seeds, cloves, cinnamon stick, and bay leaves and fry for 1-2 min (until the cumin seeds start to turn brown). 2. Add the onions and garlic and saute for 5 mins until the onions turn light brown. 3. Turn the heat down to medium, then add the turmeric powder, cumin-coriander powder, ground red pepper, and salt. Mix for 1 min, then add the tomatoes. Cook for 10 mins, stirring constantly (tomatoes will become paste-like). 4. Add the spinach, red kidney beans, garam masala, and water. Cover and simmer for 20 min. 5. Mix in the grated ginger. Sprinkle cilantro on top and serve hot. This looks so warm and comforting!